For new generations of citizens in all countries, a level of proficiency in geospatial concepts and skills will be required to realize the potential of professional and developmental opportunities. The teaching of geospatial skills links into traditional science, technology, engineering, and mathematics (STEM) curriculum objectives, community-wide concerns and initiatives, and global citizenship. Therefore, by the pre-university and undergraduate level, it is desirable for each student to have acquired such competencies. Free and open-source tools that are accessible and affordable in most areas of the world, along with data availability, offer an opportunity to support teaching such a curriculum. 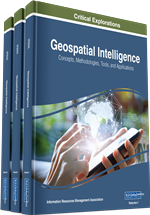 Here, core geospatial concepts are introduced, along with available data and tools. Then, using three scenarios, it is shown how the core concepts can be applied to different settings for educational purposes. In order to educate the next generation of geographic information system (GIS) users, this chapter organizes all learning objectives based upon the core concepts outlined by Kuhn (2012). These concepts are summarized in Table 1. Spatial Location Where are you? Where is “here”? Field What qualities are associated with “here”? Object What properties define the things that are here? Network On what links and pathways can physical goods or information travel? Event What spatio-temporal change occurred? Information Granularity On what scale and resolution is the spatial information provided? Accuracy How correct is the spatial information? Meaning How to interpret it? What does it imply? Value What is its relevance? How does it relate to other societal values? This chapter will explain these core concepts using three scenarios on different continents. These scenarios contain the basic structural underpinning for pedagogical units that can be developed by teaching staff for use with their classes and within the locally applicable curricular framework. The scenarios can be generally adapted to a large variety of settings. This approach demonstrates that the questions behind the concepts are the same regardless of the environment in which the learning takes place. However, depending on the context, these questions can be answered in very different ways. To begin, a comprehensive set of available data and tools are presented. Then, the application of some easily accessible tools are demonstrated via the scenarios.